Trina Wembly dreamt of owning a Christian coffee house for years –a Godly place where people could enjoy a good meal, and entertainment that was pleasing to God. A Piece of Heaven is that dream, and Trina the star entertainer. Jared Larou, the construction foreman who helps design and build the coffee house, is a wounded soul with a soft heart, a soft heart that Trina is drawn to. Trina knows God is the only one who can heal Jared’s wounded soul. Does she have the faith and patience to wait on God’s will – if it is God’s will? Trina Wembly stared at the name painted on the frosted glass, Dared Construction & Design. This was it, the start of her dream. She took a deep breath and pulled the door open. She hoped everything she’d heard about them was true. She tugged at her gypsy skirt, smoothed a hand along the soft cotton, and then wrapped the other hand around her leather shoulder bag. Heart pounding, she stepped inside. Classy, but understated. The reception area was a contrast of styles: elegant, not ostentatious; a bit eclectic, but well blended. She eased her grip as she absorbed the warm atmosphere the company had created. Framed prints hung on the walls, one by M.C. Escher. She recognized her favorite—Convex and Concave. Others she didn’t recognize with certainty, but would have guessed—Monet and Van Gogh, to name a couple. Intermixed with them were pictures of construction sites, some works in progress, some after completion. All Dared sites. All wonderful pieces of architecture that added to the environment they were in. From cottage style, to country, to contemporary with a Mediterranean flair—color and texture and style surrounded her. Oh yeah, they could help her create the atmosphere she wanted in A Piece of Heaven, turn her dream into something real. Still, would they be able to get her vision from her simple drawings? Trina whipped around, a hand to her throat. “Oh, I didn’t hear you.” She looked up, past broad shoulders covered by a white dress shirt that tightened around the man’s upper chest as he crossed his arms. Guaranteed, he didn’t spend all his time behind a desk. “Oh, I’m sorry. I have an appointment with...” She fumbled through her bag, searching for the slip of paper she had written on. What was wrong with her? She was never this scatterbrained. “Oh, well, I told him I would bring my rough sketches,” she said as she tugged a folder out of her bag. He stepped over to the windows and gestured her to a seat at the table as he accepted the folder. He set aside the unsigned blank check she had tucked in and then flipped through the drawings. He glanced up once or twice, but didn’t comment until he reached the last one. “And do you have the experience to make a go of it during a slow start up?” He lowered his chin to his steepled fingers. He flipped open the folder and started asking pointed questions about what her vision entailed, jotting notes as she answered. Finally, he leaned back and met her gaze. 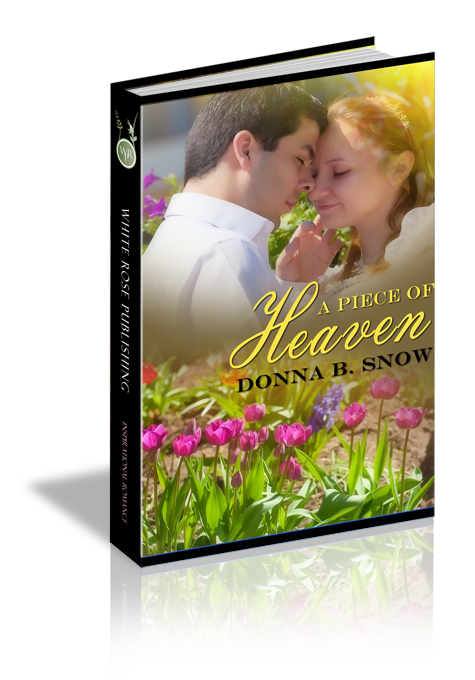 As a smile spread across his face, she sent a prayer of thanks heavenward that he’d accepted the job. She could barely control the urge to clap her hands. This was really happening—and with the firm she wanted to work with. Their reputation was excellent, and the work she had checked out spoke very highly of their abilities—and one of them was a Christian who attended her church. After filling out the check for the initial portion of the architectural fees, Trina walked out the door…or maybe floated. When she reached her car, she pulled the cell phone out of her bag and hit speed dial.